Because one "R" isn't enough! 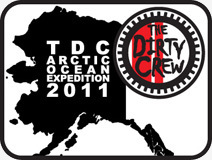 The Dirty Crew is selling the beloved XR. This bike has been there for us and seen us through tough times. Affectionately nicknamed "Medivac" after MotoBum broke his foot on the WR and rode it back to the Tahuya parking lot. It is gentle enough to ride with broken limbs. The name changed to SuperTanker after Ghostface KLR ran out of gas riding his TE250 deep in the heart of the Tahuya trails. A little siphoning and we were all good to go! No, no desert tank, the XR just sips the gas. Last Minute Ryan used this XR to tow SwampMonster's CRF back to the parking lot after it was submerged in a lake sized puddle. He also towed E-Rock's WR back from "The Wheelie Area" when the WR's chain broke. Yeah, it is a reliable beast. SuperStar Wendy rode the Desert 100 Poker Run on it two years back! Last Minute Ryan used it for last years Desert 100 Poker Run AND on race day! Yeah, she is a runner. Old, but well cared for. Forks were rebuilt two years ago, and yes, the oil is changed regularly. She has a title and it is in my name. She's not the prettiest bike on the trails with the zip-tie scar on the front number plate and other scuffs and scrapes, but dang, she'll take you to Hell and back and not bat an eye. Copyright © 2011 craigslist, inc.